ZLINE 36 in. 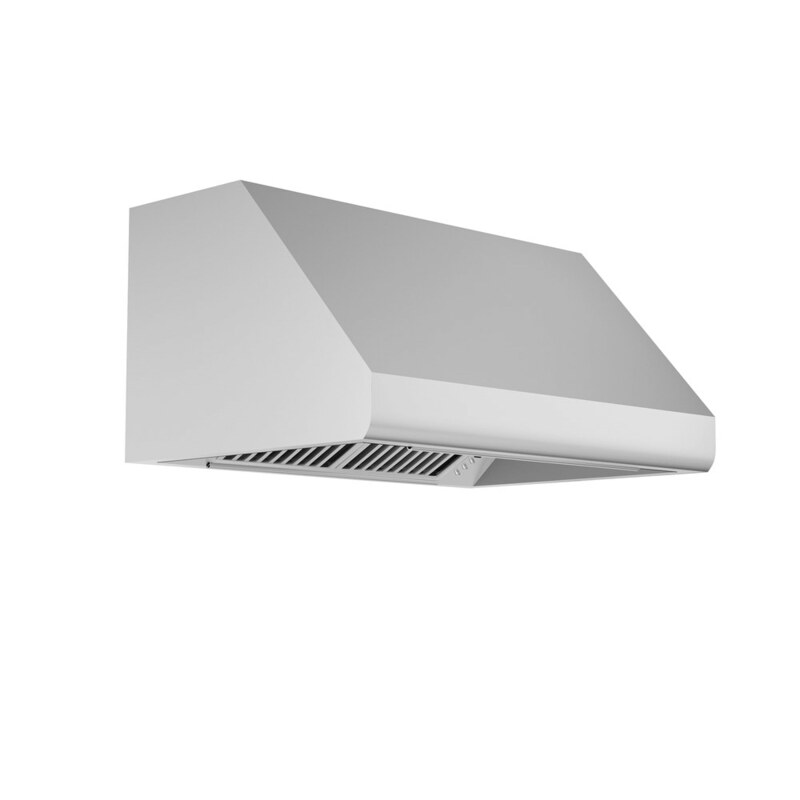 1200 CFM Under Cabinet Range Hood in Stainless Steel (686-36) has a modern design and built-to-last quality that would make it a great addition to any home or kitchen remodel. This hood’s high-performance 4-speed motor will provide all the power you need to quietly and efficiently ventilate your kitchen. Venting Size: 8 in. Outlet (Transition piece with backdraft damper to round ducting included) Charcoal Filters (not included) available for ductless/recirculating option. Recommended install 30"-36" above range. See Installation Manual for full instruction.